This study evaluated the impact of Exact Path usage on the winter diagnostic assessment of student achievement. Ensuring comparable groups at baseline with the fall diagnostic assessment, results reveal that students who complete Exact Path lessons in the learning progression assigned to them make statistically significant positive gains in achievement compared to students who do not complete any lessons. These results also suggest that Exact Path is targeting the skills that students need to develop in order to improve their reading, language arts, and math achievement. Exact Path promotes academic growth for K–8 students in reading, language arts, and math by closing discrete skill gaps and propelling learning forward in a personalized learning environment. The program begins with adaptive diagnostic assessments that pinpoint each student’s instructional level, strengths, and needs. Exact Path then automatically provides students with an individualized playlist of curriculum and progress indicators to ensure achievement. Century Analytics, Inc. provides comprehensive technical and analytic services in research design and methods, instrument development, psychometrics, statistics, data analysis, and reporting. Bruce Randel, Ph.D., has over 20 years of experience in education research and psychometrics. Dr. Randel is certified in the most recent WWC standards, and he is involved in conducting education research around the country through such programs as Investing in Innovations (i3), Education Innovation and Research (EIR), the National Science Foundation (NSF), and the Regional Educational Laboratory (REL) program. For more information, visit centuryanalytics.com. Edmentum, Inc. is dedicated to making it easier for educators to individualize learning for every student through simple technology, high-quality content, and actionable data. Founded in innovation, Edmentum’s powerful learning solutions blend technology with individual teaching approaches. 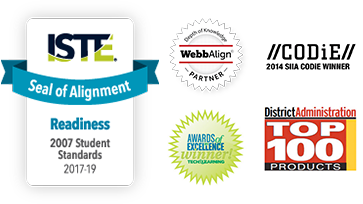 Edmentum is committed to being educators' most trusted partner in creating successful student outcomes everywhere learning occurs. Edmentum solutions currently support educators and students in more than 40,000 schools nationwide. For more information, visit edmentum.com. Century Analytics is a trademark of Century Analytics, Inc.